The Super Bowl is the biggest sporting event of the year, and this year’s matchup should be another great game. 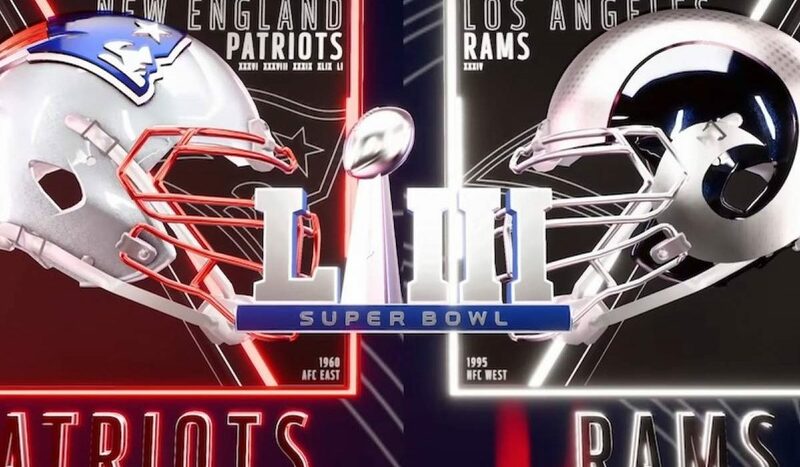 The New England Patriots and Los Angeles Rams are set to square off in a rematch of the 2002 Super Bowl. The Patriots are looking for their sixth Super Bowl victory since that time, while the young Rams team will be trying to get some revenge from that 2002 game. There are a ton of betting options available for the Super Bowl, and we will take a look at some of them below. The most popular Super Bowl Bet will be on the game itself. The Patriots are 2.5 point favorites in this matchup against the Rams, and they certainly have plenty of experience. When talking about the Patriots, quarterback Tom Brady has to be the first person mentioned. Brady has completed over 71 percent of his passes so far this postseason and is showing no signs of aging. Look for Brady and the Patriots offense to be sharp in Super Bowl 53. The Los Angeles Rams had one of the best offenses in the league during the regular season, but their biggest star has struggled so far this postseason. Running back Todd Gurley has just 20 rushing attempts in the playoffs, and he looks to be injured. 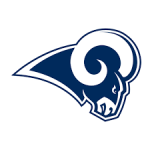 The Rams have still run for 350 yards through their first two playoff games, and C.J. Anderson has come out of nowhere to deliver huge plays. If the Rams are going to score on a tough Patriots defense, they are going to need Gurley to be at a high level. The biggest disparity between these two teams is on the defensive side of the ball. New England gave up just 20.3 points per game during the regular season, while the Rams allowed 24.0 points per contest. Los Angeles spent a ton of money on defense in the offseason, but they have not seen a return for their money. Defensive tackle Aaron Donald did rack up 20.5 sacks this season, and he will have to find a way to get some pressure on Tom Brady. The Patriots have already shut down two of the best offenses in the NFL in these playoffs, and you can bet that Bill Belichick will have a solid game plan in place for this game. 2.5 points is not a very large spread, and this game looks like it might go right down to the wire. The Rams have been much better than the Patriots all season long, but New England just knows how to win in the playoffs. Sean McVay is a terrific coach, but he is taking on the best coach in football in Bill Belichick. The Belichick-Brady combination is one of the best in league history, and there is no way I’m betting against them. Bet the New England Patriots -2.5 over the Los Angeles Rams in Super Bowl LIII. The oddsmakers have set the total on this game at 56.5 points, which is one of the highest over/under totals of all time. The explosive offense of the Rams obviously plays a huge role in this number, but the Patriots defense is tough on opponents. Tom Brady and the Patriots can score points in their own right, but they have a history of long drives in key playoff games. Look for the Patriots to slow the game down to keep the Rams offense off of the field. 56.5 points is a ton, especially for the Super Bowl, and I don’t think the final score gets close to that number. Bet under 56.5 points for Super Bowl LIII. This one is pure luck, but I have a hunch that “heads” will be the winning bet. A complete list of players can be found on almost any online sportsbook, but these are the six players with the best odds. Since I’m picking the Patriots to win the game, I think a Patriot will win Super Bowl MVP. New England loves messing up these kinds of bets, so look from someone outside of this list to win. Perhaps Rob Gronkowski at +3000 is the top betting option. Gladys Knight is this year’s National Anthem performer, and she will cherish her time in the spotlight. Bet the over and hope she hits some long notes! Tom Brady threw for over 500 yards in Super Bowl 52, and he should have another huge day. He won’t get to 500 in this game, but 400 is a possibility. Take a shot and bet Yes +275 in this prop bet. 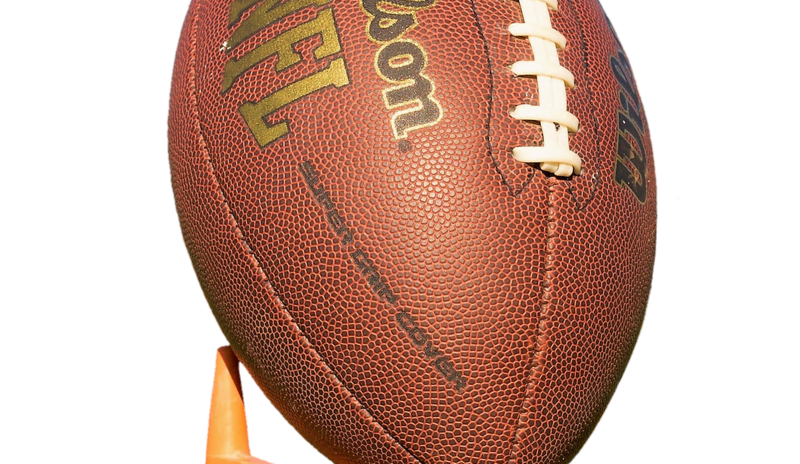 The 2018 National Football League season is in the preseason stage, where teams are preparing for the 16 game grind of the season. 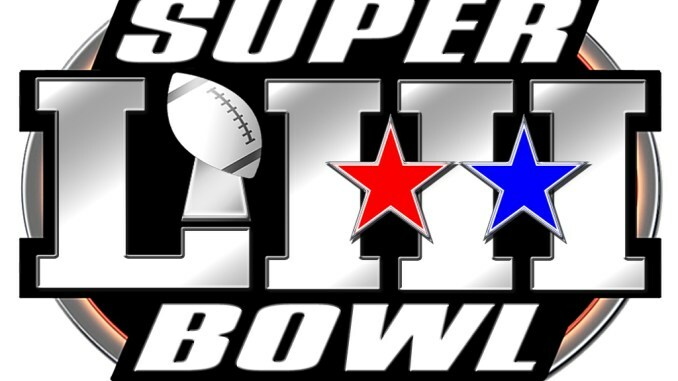 The updated betting odds have been released, and let’s take a look at some of the favorites to come away with the Super Bowl in February of 2019. The Patriots are the runaway favorites out of the AFC East. New England is still loaded with talent, and have one of the best quarterback/head coach combinations in the history of the National Football League. New England changes many parts of their team, but the core is still in tact and the team is still loaded. The Patriots are once again the favorites to win the Super Bowl, despite losing last season to the Eagles in the final game. The Eagles are the defending champions, and one of the teams with not many question marks coming into the season. The biggest question for Doug Pedersen’s group is their quarterback position. Will Nick Foles start the season or is Carson Wentz ready to take back over behind center? The Eagles are the huge favorites out of the NFC East, but if they do not watch it, teams like the Cowboys or Giants could sneak up on them. Many say this is the final run that the Steelers have in them. The core is aging, and talk about Le’Veon Bell going elsewhere is pretty popular. Antonio Brown is a little banged up in the preseason, and there are question marks throughout the roster. This is going to be a challenge for Mike Tomlin, but as the third favorite in the NFL, you never know what you will get from this squad. The Steelers should run away with the AFC North. Only behind the Eagles in the NFC – fans are pumped for the second season in Los Angeles. The Rams are loaded on offense, and their head coach is an offensive guru. Todd Gurley is a good choice for league MVP, especially after getting paid in the offseason. Aaron Donald is the big question mark for the Rams, as he does not appear to be starting the season on the roster. The Rams are a good value when you are betting on a Super Bowl 53 champion. 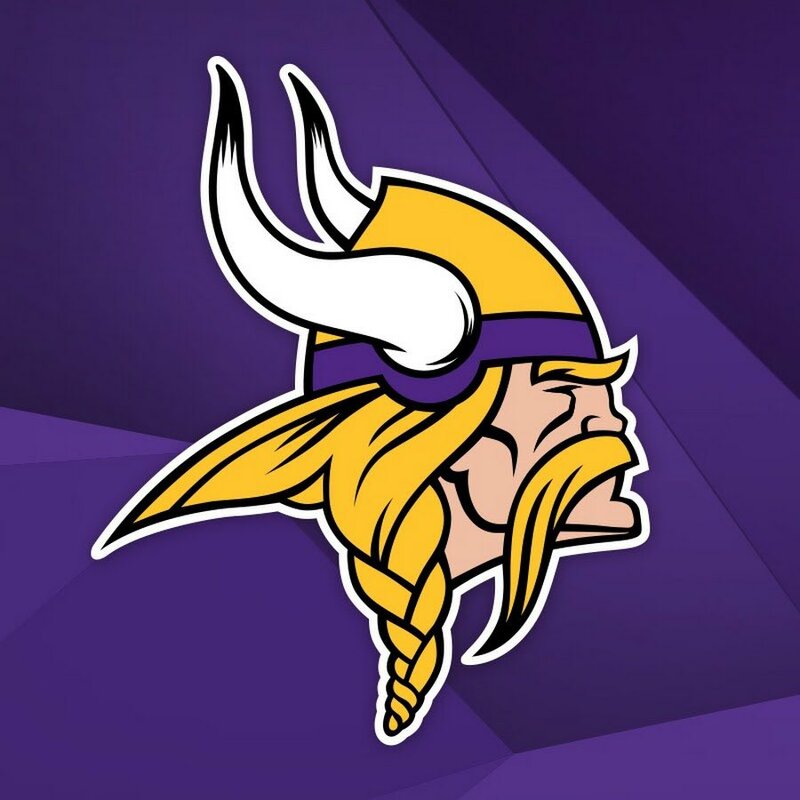 The Vikings are a season removed from losing in the NFC title game. Remember that game last season where they came away with a miracle against the Saints? They will need more skill than luck this season. The Vikings are the favorites out of the NFC North, but Aaron Rodgers and the Packers are lurking just behind them. It will be a new Vikings offense with a new quarterback, but can the defense continue to be outstanding is the big question? The Packers are the top team in the betting odds that are NOT favorites to win their division. The Packers are projected to finish behind the Minnesota Vikings in the NFC North. Can Aaron Rodgers regain some magic and lead his team to the Super Bowl again? Green Bay has plenty of challenges, but their biggest could be at receiver, where there are several new names in the mix for Rodgers to throw to. Another NFC team in the mix. The favorite out of the NFC South, and still stinging coming off their divisional loss to the Vikings a season ago. The offense will face some challenges early, while the defense is the question mark the entire season. Look for the Saints to be in the mix. New Orleans is the favorite to win the NFC South. If you are betting the Houston Texans you are putting many eggs in the same basket for a quarterback that missed last season. DeShaun Watson is talented, but is he able to come away with enough to get his team to the Super Bowl, or first things first win the AFC South. 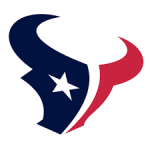 The Texans need to stay healthy, but that is the name of the game in the National Football League. The 49ers are fully ready for the Jimmy G full season. It will be interesting coming into the season for the 49ers as a team that has struggled in the division to be a favorite to reach a wildcard spot. The Rams and Seahawks appear to be obstacles for sure. There is a look at the most recent betting odds to win Super Bowl 53. Best of luck with all your Super Bowl bets, and we hope you are able to cash some great bets when February of 2019 arrives. Enjoy the season! Now that the NFL draft is over and free agency is mostly completed, the 2018 rosters have more clarity. As a result, it becomes possible to predict what will happen once the NFL season rolls around in the fall. Which team will celebrate in Atlanta as the Super Bowl 53 champion? The volatility from one season to the next makes this group dangerous to predict. After all, the Eagles did not even make the playoffs in 2016 only for them to win the Super Bowl in the following season. However, there are some teams that can safely be removed from contention prior to the season kicking off. The New York Jets, Buffalo Bills, Miami Dolphins, Cleveland Browns, and the Arizona Cardinals all have QB concerns so significant that they are already eliminated from Super Bowl contention. Could they make the playoffs? Sure, but the Super Bowl is out of the question. Some of the teams have significant holes on their roster. Last year at this point, the Eagles’ secondary looked highly questionable, but their pass rush and unheralded veteran signees saved the day. Four teams fit that bill in May, so let’s look at those teams and their biggest question. The Baltimore Ravens have a veteran QB, but little else on offense. Can they score enough points to win? Cincinnati’s roster is so bad that they easily could have been in the first group, but Andy Dalton has proven to be at least competent during the regular season. Can their stars stay on the field masking the Bengal’s lack of depth? Andrew Luck looked like an all-time QB destined for the Hall of Fame, but his career has totally derailed. Will Luck be able to carry the team like he did a few years ago? Down the stretch, the Bears began to look competent, but it was a long season in the Windy City. Can they overcome their inexperience in the new regime? Heading into the 2017 season, Tampa was a trendy pick to win double digit games and then they fell flat on their face. Is Winston good enough to carry the Bucs or is a middle-of-the pack QB? This group of teams is the largest because so many teams can make the playoffs if things go their way. Once a team makes it to the second season anything can happen, but these teams are still a long shot to make it all the way. The Tennessee Titans took a big step forward in 2017 by making the playoffs. They then fired their coach and hired Mike Vrabel, who has never been a head man before. A repeat trip to the playoffs is certainly viable, but the Super Bowl is hard to see. Jon Gruden was the splashiest coaching hire, but the draft and free agent moves has led to more questions than answers for the Oakland Raiders. Until the Raiders prove it on the field, they will have a lot of hype, but a deep playoff run would be more of a surprise than a last place finish. The argument could be made that the Cowboys belong in the previous tier after losing Jason Witten and Dez Bryant. They do get the benefit of the doubt because of their offensive line and running game are so good when they have Zeke. However, Dallas has only been a real threat one time in the last 20 years, so they might make the playoffs, but the roster does not have firepower for a deep run in January. Alex Smith taking the place of Kirk Cousins does not help Washington’s chance of a Super Bowl appearance. If Washington got tougher defensively and was able to win 9 games, nobody should be shocked. Should they still be alive in February, it would be a surprise. Yet another NFC East team finds themselves as a fringe playoff team after an abysmal season. The Giants have questions to answer all over the field, but if they stay healthy a 10-6 season is not out of the question. Matthew Stafford has demonstrated that he can put up big numbers in the regular season. The team is not significantly better than last year’s version, making it hard to envision a Super Bowl trip for the Lions. Once Jimmy GQ took the reigns in San Francisco, the 49ers ripped off 5 straight games to end the season. Their early season schedule will reveal quite a bit about the team in 2018. Entering the season, San Fran is a wild card hopeful, but they need to prove it a bit before considering them a threat. Russell Wilson is clearly one of the best quarterbacks in the NFL and he carried the Seahawks last year. Seattle’s stars got too expensive to keep them all, which has watered down their roster. The Seahawks have too many question marks to be considered for a February trip to Atlanta. To a certain extent, every team in tier III to VI can fit into this category, but these teams have more talent than the group below them and more questions than the teams yet to come. The Houston Texans had arguably the most talented IR in the entire league. Deshaun Watson’s electric play provides hope for a franchise who has been on the brink of a Super Bowl multiple times. If they can stay healthy, Houston could win the AFC. Jacksonville was one half away from knocking off the Patriots last year, but they remain limited by Blake Bortles. They won’t sneak up on anyone this season. If Bortles can take a step forward, their defense could carry them to Atlanta. Some people might be surprised to see Denver this far down the list because of how bad their offense was last year. They added to their defensive line and the upgrade to Case Keenum pushes them to the verge of Super Bowl contention. September was a total disaster for the Chargers, but they have adjusted to LA. The argument could be made that they have the most talented defense in the NFL. If they can somehow stop blowing close games and stay healthy, they have a shot, but considering Hunter Henry is already hurt, it still seems a bit unlikely. Kansas City has bet their franchise’s success on Patrick Mahomes, who is very much like Watson. The difference is that Mahomes has to prove he can do it in the NFL, but Andy Reid has had success with young QBs before. Do they have enough in the secondary without Marcus Peters to slow down the high flying offenses? Carolina seems to have the same situation year in and year out. Cam is solid, but lacking playmakers on the outside. The front 7 is one of the best in the league, but the secondary has questions. Carolina has made it to the Super Bowl with that formula, but it seems far fetched that they could win the conference. Aaron Rodgers is Aaron Rodgers, but he is coming off of yet another major injury. At this point, he needs to prove that he can play 16 games. If anything happens to him, it will be impossible for the Packers to get to another Super Bowl. At this time, these teams are the ones who are the most likely to be playing deep into the playoffs, but will ultimately come up just short. The difficult part is the depth of NFC teams who could knock each other out. At some point the Patriots will see their dynasty come to an end, but until it happens they are an annual choice to get back to the AFC championship game. The AFC is much weaker than the NFC, making it even easier for New England to return yet again to the Super Bowl. Speaking of returning to the Super Bowl, the Eagles have enough talent to make another deep run. Carson Wentz’ health is a major question mark even with the presence of Nick Foles. It is so hard to get to the Super Bowl two years in a row, even for a team as good as the Eagles. The Atlanta Falcons are a prime example of the difficulty associated with returning to a Super Bowl despite having a talented roster. The Falcons’ offense should be just as explosive as it has been the last few years. If the defense can take a step forward, Atlanta can be the first host team to play in a Super Bowl. The Rams have made the biggest collection of free agent moves this offseason. Most of the time, the big acquisitions fail to live up to expectations, but this time they are joining an already impressive roster. One more step forward by Jared Goff could push the Rams over the top. New Orleans had just about everything go right last season prior to the Minneapolis Miracle. They will probably have more injuries and Ingram is already facing a suspension, but they do have Drew Brees and a talented defense. They belong in this group, but unless they host the NFC championship game, they will not be able to get to the Super Bowl. Pittsburgh has been on the precipice of a Super Bowl for the last few years only to stumble in the playoffs. The AFC is weaker than it has been in years, which will allow Big Ben and company to get to Atlanta and play for the Super Bowl 53 championship. Minnesota got annihilated in the NFC Championship game last year, but then they added Kirk Cousins and will get Dalvin Cook back from injury. The Vikings have a dominant defense, a good coach, and a massive chip on their shoulder. Minnesota will run the gamut in 2018 and get to Atlanta. The Jacksonville Jaguars are the fairy tale of this NFL postseason, but they do not feel as if they are any worse off than the other three remaining teams. The Jaguars, led by head coach Doug Marrone have seen tremendous defense all season long. Remember, this is the same Jaguars team that intercepted Ben Roethlisberger five times during the regular season win over Pittsburgh. 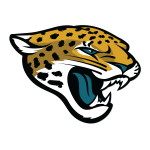 The Jaguars allowed several late scores last week, but overall, this defense is not to be taken lightly. The offense will need to manage the football, and take care of it. Jacksonville’s offense made the Steelers defense look silly last week with 45 points. Leonard Fournette was the big story with 109 yards and 3 touchdowns. T.J. Yeldon also got into the end zone for the Jaguars, and was the top receiver as well. The receiving core is a group of guys that are looking to break out in the league. The Jaguars lost Allen Robinson before the season started, and Allen Hurns has been banged up all season. The New England Patriots had all the drama coming into the Titans game about the team not getting along, etc. It does not matter with this group – as they are looking for two more wins and another Super Bowl title. The Patriots fell behind 7-0 to the Titans last week, and then scored the next 35 points. Tom Brady finished the game with 254 yards and 2 touchdowns, of course not throwing an interception. New England saw James White get into the end zone twice in the game, finishing with 11 rushing yards and 29 receiving yards. The Patriots have several guys to plug and play at the running back position, with Dion Lewis and Brandon Bolden getting in on the party. Rob Gronkowski last week caught 6 passes for 81 yards, and the Jaguars are going to have to have quite the plan for him. Look for the Patriots to win this game, but the Jacksonville Jaguars are going to compete. If Blake Bortles takes care of the football, and does not turn it over, they are going to have a chance to win the game late. We do not expect them to win the game, but covering the spread should be done. Take the Jaguars +10 over the Patriots. The Minnesota Vikings won on a miracle throw from Case Keenum to Stefon Diggs as the time expired last week over the Saints. While they may have gotten lucky, they have also been good this season. 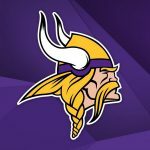 The Vikings won the NFC North with 13 wins in the regular season. In that game, Keenum threw for more than 315 yards, with that pass to Diggs being his only touchdown pass. Latavius Murray and Jerrick McKinnon both got into the end zone on the ground. The Vikings are a well rounded offensive team with guys like Adam Thielen, who are giving 100% every time. The defense for Minnesota has been overlooked all season, and should be ready to slow down the run game of Jay Ajayi and force the Eagles to pass the football. Once Carson Wentz went down, many gave the Philadelphia Eagles no chance to get to the Super Bowl. Despite being the top seed, the Eagles were underdogs at home against Atlanta, and are underdogs in this game as well. The Eagles won last week with tremendous defense and the ability to run the football. Look for more of that from Philadelphia this week. Jay Ajayi got a heavy work load of 15 carries a week ago, and we would not be surprised if the Eagles give him nearly 20 this week. Alshon Jeffrey is the top receiver for the Eagles, as he finished with 61 yards a week ago. The Eagles are going to want to run the football most of the game, but if they fall behind they are going to have a tough time coming back. Look for the balance of Minnesota to keep them off their game, and allow them to win on the road. The Vikings win this game over the Eagles 24-17. There is a look at the AFC Championship and NFC Championship. These are four of the best teams in the league, there is no doubt about it. The Jacksonville Jaguars are the underdog of the four remaining teams, but their defense is probably the toughest. They will have a tough test taking down the defending champion Patriots, but it should be fun to find out what happens. Best of luck with all your National Football League betting. Enjoy the games, and we will see you back with our Super Bowl 52 picks soon enough! Good luck with your US sports betting.